“Do a good deed” is something that every Cub Pack often puts into practice. 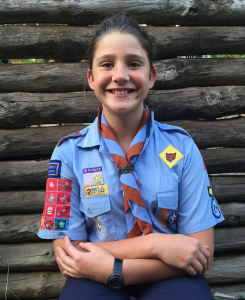 We spoke to Lucy de Bruyn (10) a Cub from 2nd Kenridge Air Scouts Group in the Western Cape about her experience. Cubbing is so much fun because you learn new things and enjoy seeing your friends. My best experience with Cubs was winning the Tug-of-War at the 2015 R-Don Competition against 1st Durbanville and DKS. The weirdest thing I have eaten outdoors is an ant. It was the 2015 Edward Shield because we had to work very hard and there were lots of Packs competing. It all paid off as we won the Edward Shield for the first time in our history. The most amazing place was when we went on a hike at the Hawequas Camp and there was a beautiful river with really smooth rocks. I have learnt lots of knots, and also that you should do a good deed to somebody every day. 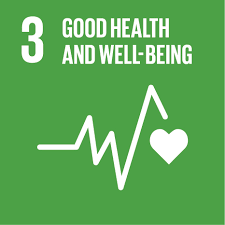 Last year we did a beach clean-up, and we are currently collecting items to donate to the Tygerberg Kangaroo Care Unit. When I go home from Cubs I teach her how to do some of the knots and I tell her what I have learnt that day. A good Akela is a person who helps and disciplines children. My Akela is special as she is very kind, always helps us and lets us do lots of fun things. Cubbing Rocks because … you get to see your friends every week and we go on lots of fun camps.